The West Cumbrian ports of Whitehaven, Harrington Workington and Maryport have a surprisingly rich and important maritime history, dating back to the seventeenth century. All grew first through the export of coal to Ireland, at a time when the local mine owners enjoyed a virtual monopoly. Then, in the late seventeenth and eighteenth centuries, Whitehaven in particular traded extensively with the West Indies and the American colonies, importing lucrative and exotic cargoes of tobacco, sugar and rum. Some shipowners were also actively involved in the barbaric, yet highly profitable slave trade. Only London imported more tobacco and Whitehaven was once considered the most important port on the West Coast, a serious rival to both Bristol and Liverpool. During the nineteenth century, the area became a major centre for the production of iron and steel, and many thousands of tons of pig iron and steel rails were exported worldwide. 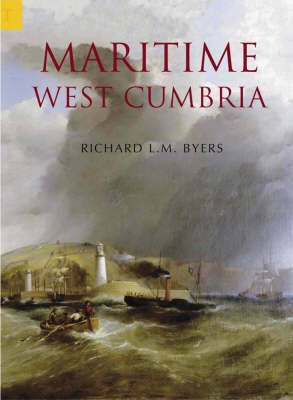 The history and development of each harbour is chronicled in this concise and comprehensive book. Illustrated with many maps and photographs, it also forms a visual record of the many ships that sailed the oceans and traded across the world, the majority of which were built in the once thriving local shipyards.